The Weekend Riot just announced their first ever headlining tour this Fall! Bruce and Johnny will have a full band backing them up on stage. 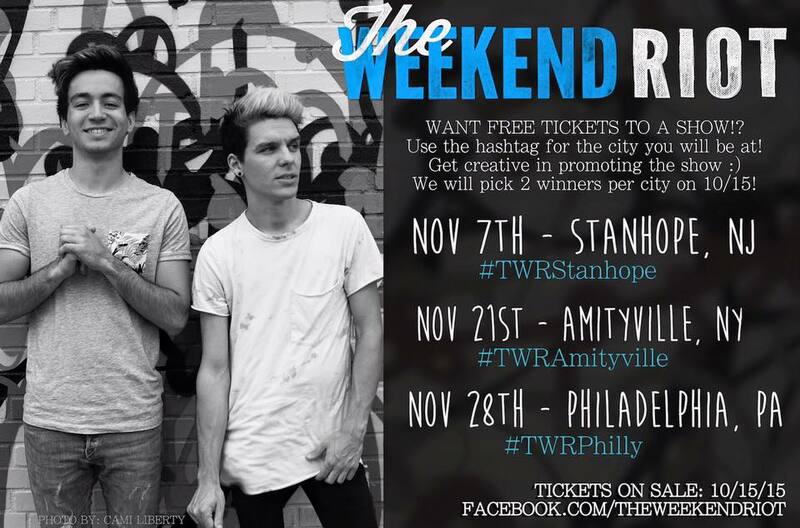 If you’re a baller on a budget, they are giving away tickets to each show – check out the details below! Watch the official video for “25 Minutes” and pickup a copy of the “Remember This Night” EP on iTunes! Be sure to follow The Weekend Riot & Secret Fangirls on Twitter.